Laura Smuts has joined the Women's Excellence in Midwifery team. Women’s Excellence in Midwifery is a specialty area of the practice for women that desire a personalized approach to pregnancy, with one on one care. Laura received her Bachelor's in Nursing from the University of Michigan and her Master's in Nurse-Midwifery from New York University. 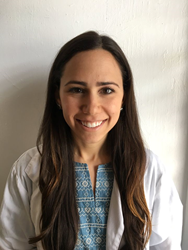 She is a Certified Lactation Counselor (CLC) and her interests include: health promotion, birth control, breastfeeding, prenatal care, and labor and delivery. Women’s Excellence is the most comprehensive obstetric and gynecologic office in Michigan. They also specialize in menopause, weight control, bladder control, endometriosis, robotic surgery, pelvic floor physical therapy, and midwifery services. The knowledgeable, well-trained, compassionate physicians and healthcare providers of Women’s Excellence are taking new patients and are conveniently located in four locations throughout southeastern Michigan, Birmingham, Lake Orion and Clarkston. For more information, visit http://www.womensexcellence.com.